Book a Round of Golf During your Stay! 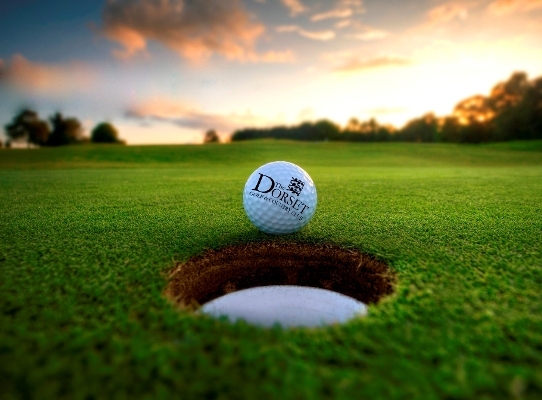 As Guests of The Dorset Resort we invite you to play our 27 Holes of Championship Golf at exclusive rates whilst you stay on-site. Make sure you book any rounds before you arrive to make sure your not disappointed! The Lakeland, Parkland and Woodland Courses we’re designed by the prolific course designer Martin Hawtree who recently received international acclaim for his excellent work re-designing Royal Birkdale for the British Open. His more recent design of Trump Golf Links (A luxury 5 Star Resort) in Scotland for Donald Trump has received more great press, rating Martin Hawtree as the best course designer in the world today. Martin Hawtree has also redesigned St Andrews on behalf of the Royal and Ancient, so in design terms the courses here at The Dorset have a pedigree that is undeniable. 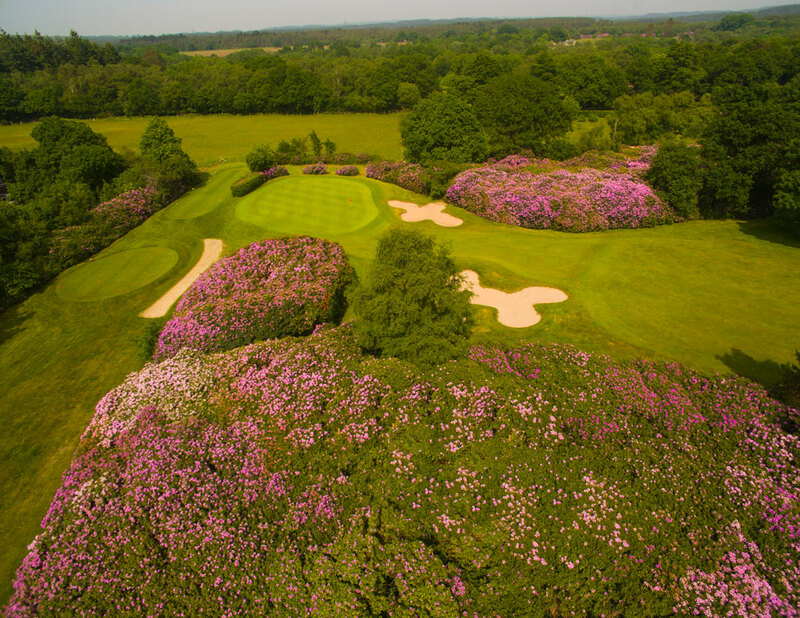 Hawtree is renowned for his tricky clover shaped bunkers and large and deceptive undulating greens which is what you will find here at The Dorset. The Lakeland & Parkland are the longest of the three courses with Lakes coming into play on over half of the holes. 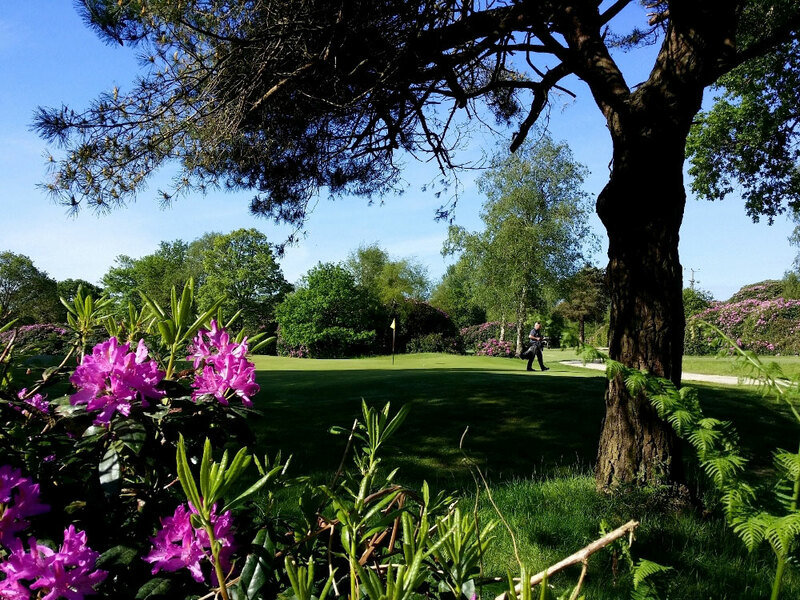 The Woodland Course is a little shorter and carved through a Rhododendron Forest. 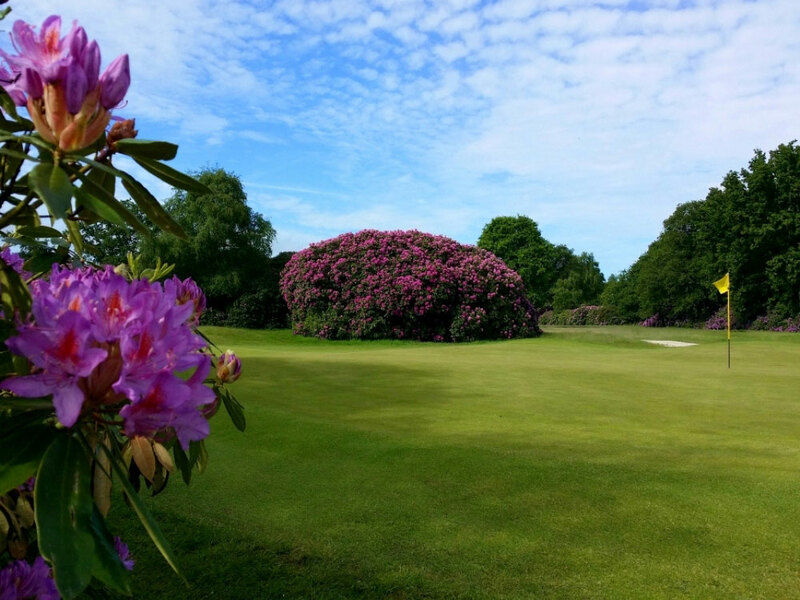 This unique Course offers a tough positional Challenge and looks Stunning in May & June with wall to wall flowers lining the fairway on every hole! 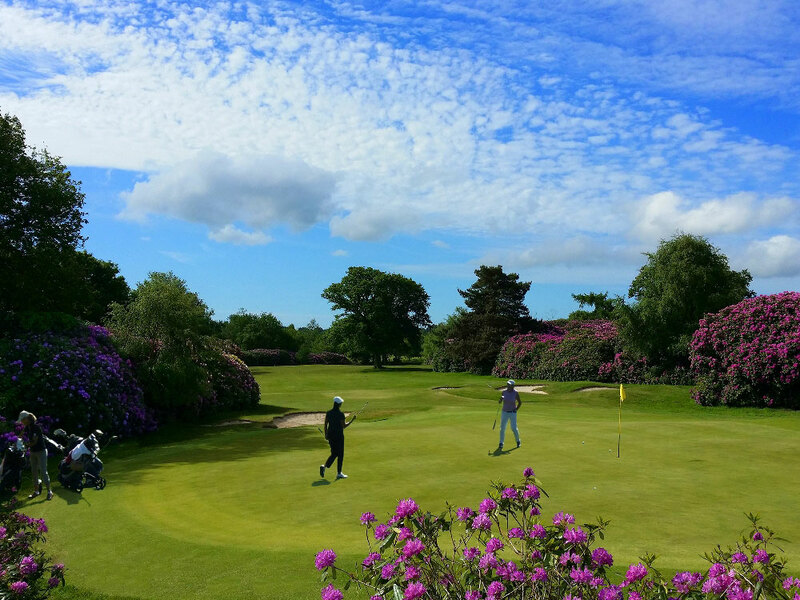 The courses are all renowned for playing very differently in the summer and winter. In the winter the courses play very American with almost target like golf conditions. The greens have fantastic drainage and the course never closes due to wet weather. Selecting your Club becomes very important as most greens are up to 40 yards from front to back. In the summer the course dry’s out and plays very much like links golf. 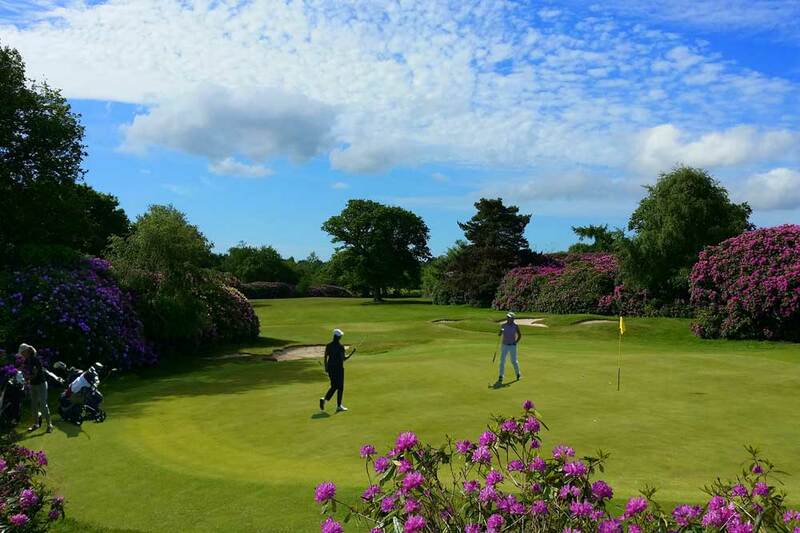 Hawtree purposely designed the greens to have run ins and run offs so that the summer requires a different tact and approach to play successfully. Truly a Unique test what ever the time of year. 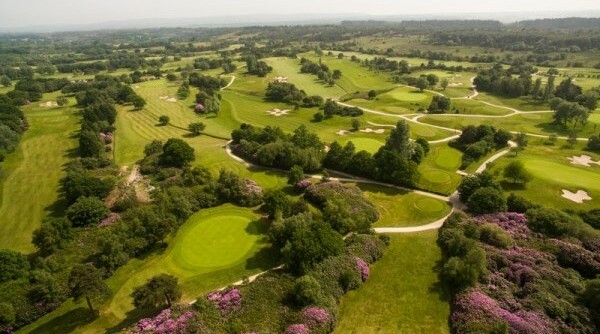 The whole course is surrounded by the Purbeck Hills and Rolling Heath land. There is an abundance of wildlife including herds of Roe, Seeker and Muntjac Deer. All manner of wildlife can bee seen regularly day to day where ever you maybe on the golf course. Being surrounded by S.S.S.I land means that no development can go on around us and we are not bordered by any busy roadways, houses or anything that could be considered an eye saw. Truly Tranquil. 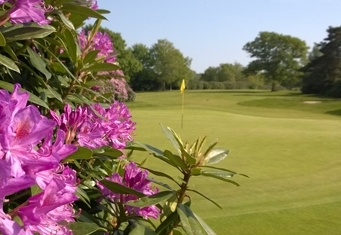 It is a wonderful place to play and regularly dubbed The Augusta of Dorset due to it’s fantastic floral display in May & June. 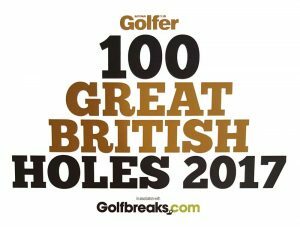 The complex offers fabulous championship golf for all abilities and can offer the ultimate challenge if required. All of our courses have been built to the highest standards and boast USGA specification greens and tees. With four sets of tees the course can be set up to play at multiple levels of difficulty. The Championship tee’s measure over 7000 yards and is one of the longest courses in Dorset. Justin Rose held the course record here briefly shooting a Gross 69 from the back tees which he shot playing in a Mastercard Tour event. The course has seen many millions of pounds spent on it since its build in 1991 when it was opened by The Danish Prime minister. The layout is very special and is the best in Dorset. 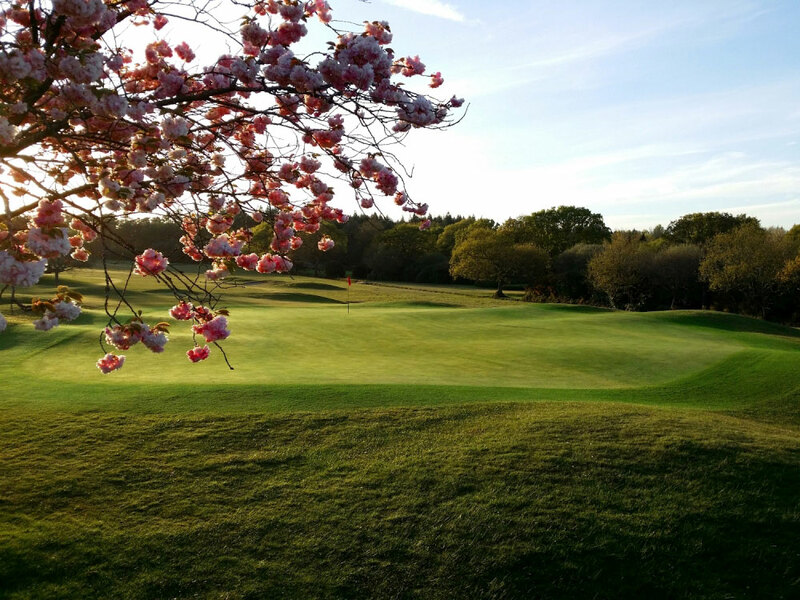 There are certainly courses you would always look forward to playing and considered ‘one of the best’ in England; The Dorset Golf & Country Club is certainly one of them. The Lakeland, Parkland and Woodland Courses we’re designed by the prolific course designer Martin Hawtree who recently received international acclaim for his excellent work re-designing Royal Birkdale for the British Open. His more recent design of Troon Golf (A luxury 5 Star Resort) in Scotland for Donald Trump has received more great press, rating Martin Hawtree as the best course designer in the world today. Martin Hawtree has also redesigned St Andrews on behalf of the Royal and Ancient, so in design terms the courses here at The Dorset have a pedigree that is undeniable.